In this time of “twittering” it will be a great gift to tell someone something in the “old (romantic) way” – a Tweet for Love Notes by mo man tai. haha this is fabulous. my husband does social media marketing & would get a kick out of this. 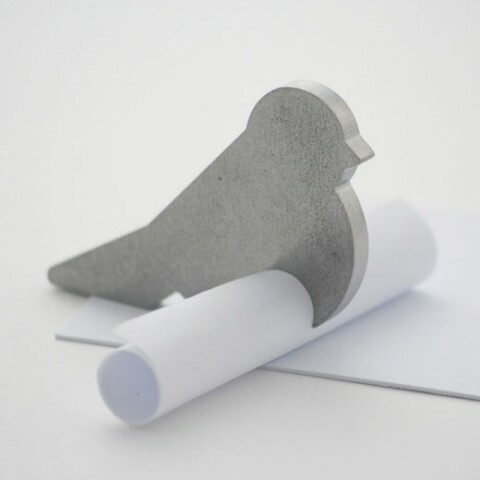 I think this little low-tech carrier pigeon-like holder should include an embedded chirp to periodically alert the recipient that s/he has a love note 2 open… What? Is that too 2010? I love this. It has a calming force to stop and enjoy.